A Resignation letter samples is a document submitted by an employee to the employer as a declaration of the termination of his/her services to an organization. A resignation is supposed to be submitted well in advance by an employee to the employer. A resignation must mention the details on why an employee is resigning from the job and the date from which, he or she would not continue the job. This is a notice served by the employee before leaving the job. 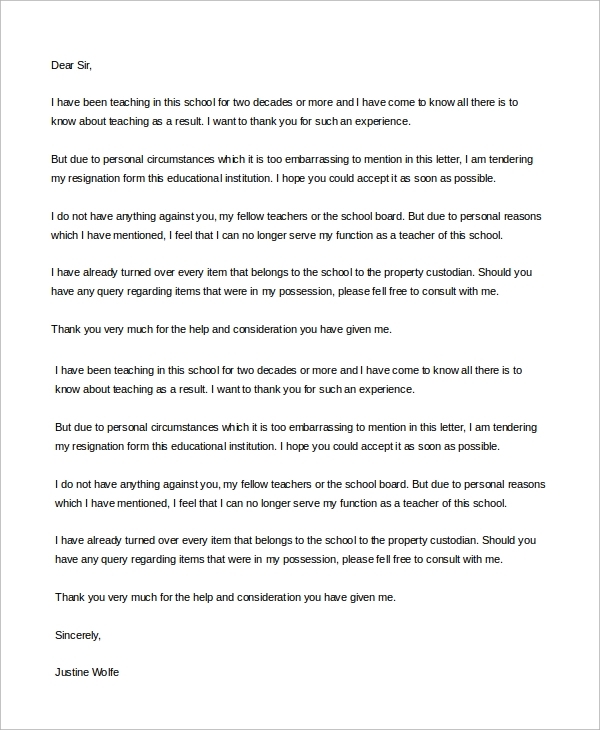 A school teacher resignation letter is to be addressed to the Principal of the school and should bear the details on the date of termination of services from the job. 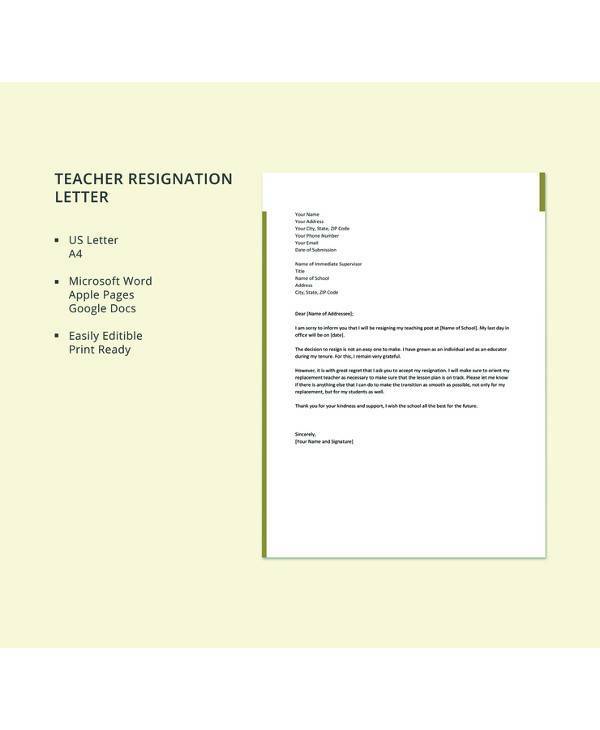 A resignation letter example is an important document of information served by the employee of an organization to the employer stating the termination of his or her services from the particular organization or institution. 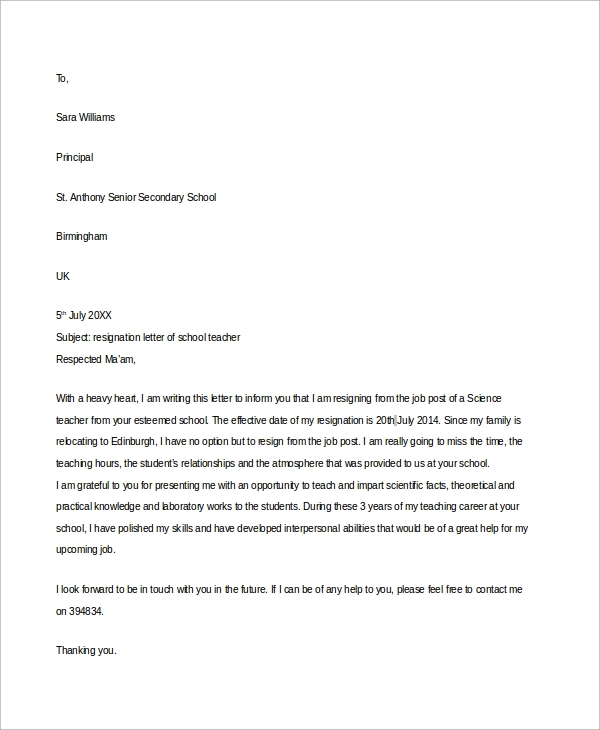 It should be served well in advance to the employer so that necessary substitutes for the role can be arranged well in advance by the employer, to make sure that the students do not lag behind in their academic activities.A resignation letter must mention the details on why an employee is resigning from the job, be it personal or professional. It must also carry the date on which a person is leaving the organization. 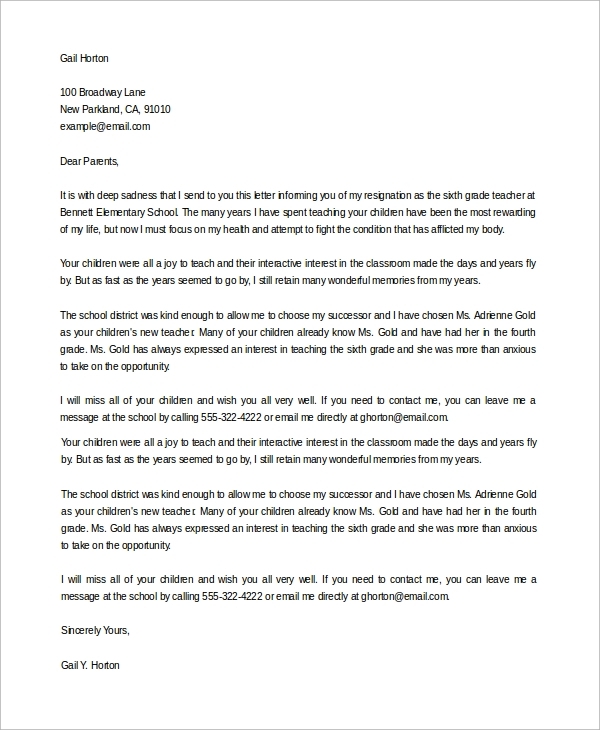 The resignation letter of a primary teacher should be the same as all other resignation formats stating the reason for quitting the job and the date on which the services will be terminated officially. Who is a Resignation Letter Targetted at? 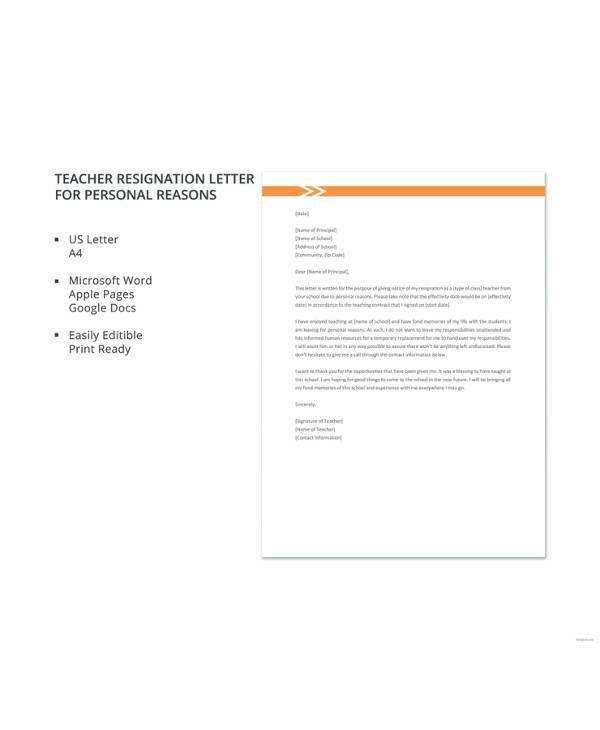 A sample resignation letter is targeted at the employer. It is served by an employee to the employer informing the organization head or employer that he or she would be leaving the job on a given date under certain unavoidable circumstances. It should be provided to the employer much in advance so that the employer can find a new employee or a substitute for the time being. 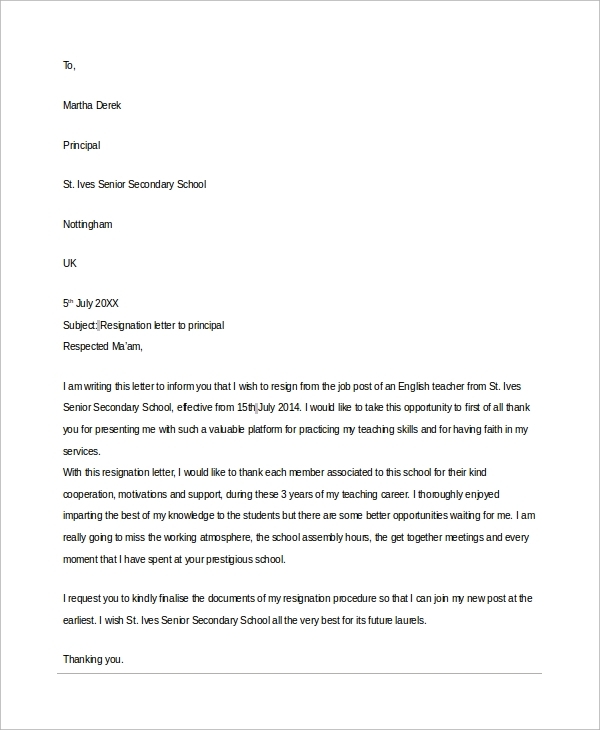 resignation letter samples should be well drafted and well addressed and should be provided to the employer acknowledging the support the organization had provided to him/her and the experience he/she has gained during his/her tenure in the institution. An employee must always leave an organization on a good note, as a sign of gratitude towards his/her employer.